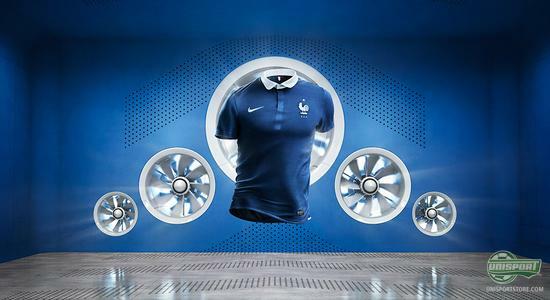 Both France and Brazil have gotten new shirts ready for the World Cup, some thing that our graphics department would not pass up on. They have created a brand new and super cool campaign site, where you get to come up close on the two countries' new shirts. The World Cup feeling is already around. Both in France, who qualified not long ago, and with the hosts from Brazil who are getting ready for the summer's big tournament. 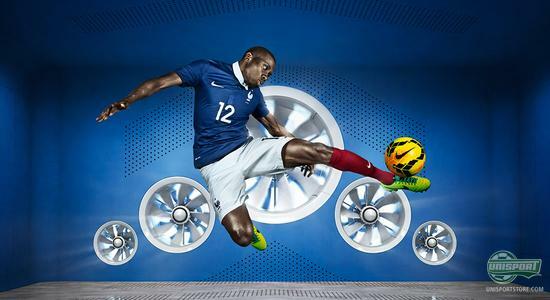 But also here at the Unisport Headquarters, the World Cup feel is accelerating, and in a brand new campaign we get close to the new World Cup shirts from both France and Brazil. 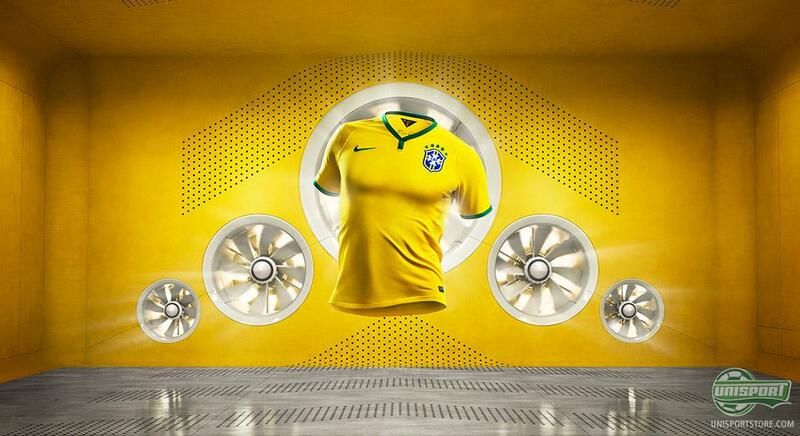 The host nation Brazil could recently reveal the brand new shirt, which the Brazilian stars will wear as they strive to lift the World Cup trophy. 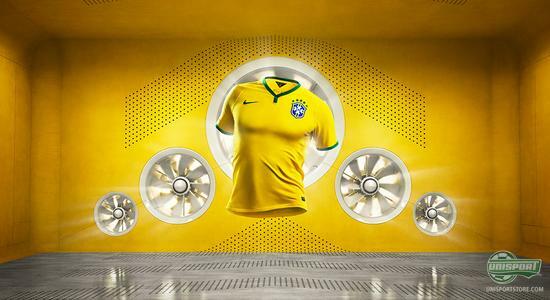 It is a shirt filled with passion, joy of life and belief in victory, which Nike have delivered and crafted for the host nation. Not only does it take concentration to try and live up to the expectations of a whole country, you also need to be properly dressed for the task. Therefore, Nike have just now launched a brand new home shirt that can be gathering point for the nation, and connect the many excited fans to their stars. 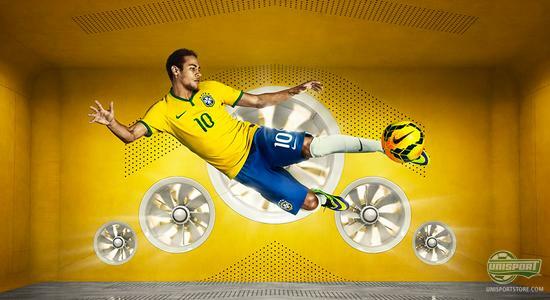 The shirt will strive to encapsulate the unique football culture that can be found deep within any Brazilians DNA. France have also been dressed for World Cup success. It did otherwise look really tough as they went into the play-off matches and lost the first match 2-0 to Ukraine. But at home at the Stade De France the team showed what they are made of, and delivered a clear 3-0 victory which sparked the World Cup feeling in the country. And the feeling only got better as Nike, the day after, presented a brand new national team shirt. The shirt is simple, elegant and is inspired by the city of Nimes in southern France, where from the modern and raw denim, as well as the 1800's classic silk shawls originate from. This contrast is something that Nike have tried to encapsulate with this brand new, modern and elegant shirt, which you can see much more of in the new campaign. Both Brazil and France are ready for the World Cup, and both countries seem to be properly dressed for the task. What do you think of the two shirts? And which is your favourite? As always you are very much welcome to leave a message here, or on Facebook and Twitter.